Hello! I’ve been idle for more than a week now and I just wanted to write more to be consistent and to make my site more exposed. My recent post was about a survival/horror game, now we’re going to know more about an even scarier game than the RE series (in my own opinion). 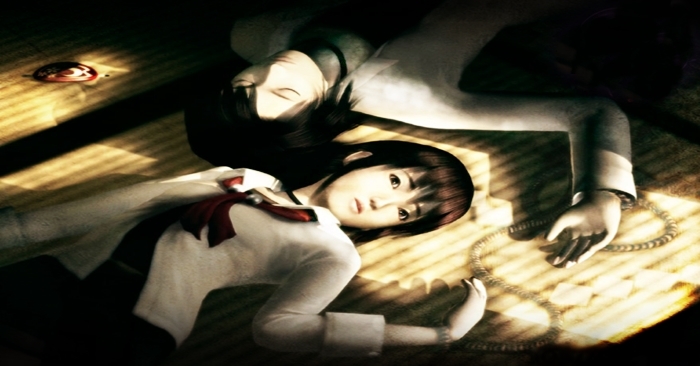 We are going to tackle about another game I’ve encountered in the past when I was around 10 years old… this game is called Fatal Frame. Does it sound scary? No, Yes, Maybe. You’ll find out soon. 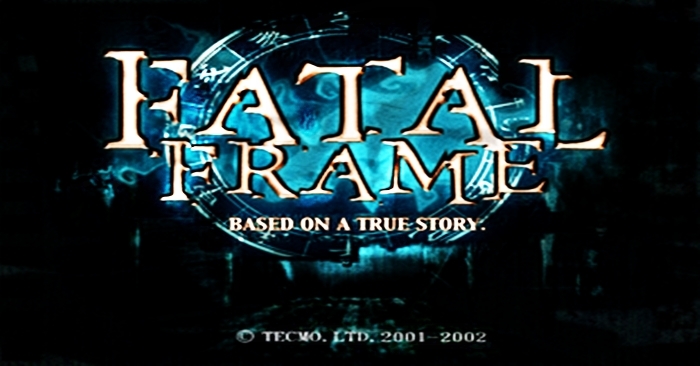 Fatal Frame was released in the year 2001 in the PS2 Platform, it is a survival-horror game. I don’t know why this game was not so popular as any other scary games like the Resident Evil series and Silent Hill series. It’s probably because only a few have the courage to beat this game? Disclaimer: I have not completed the game, I just played a little to a limit of knowing how “attacking ghosts” works. My brother played most of the time when we rented at a computer shop. The story is set back in the 80’s where Mafuyu Hinasaki visited a haunted mansion of the Himuro Family to search for his teacher Junsei Takamine. With him, is the Camera Obscura inherited from his mother which aids him in alleviating ghosts. But due to the catastrophes that he’s confronted, he has been gone for two weeks. Now, his sister Miku enters the mansion to know about the disappearance of his brother and learns about the Strangling Rope Ritual. As Miku investigate for the whereabouts of his brother, she uncovers many mysteries the mansion has laid out, connecting her back to his brother Mafuyu. As I said in my little disclaimer, I only played a little but it doesn’t mean I’m limited of what I can share to you. The gameplay is great, it has that fixed camera angle where you can see the area, the character and the terrifying ghosts. A great feat in this game is how they utilized an old camera to find clues, capture ghosts or use it as a weapon and pacify ghosts. There’s a small bar at the lower right of the screen indicating an enemy or a clue, when it lights blue a ghost is near or a clue needs to be uncovered. When the bar’s light is yellow, a ghost is near and is hostile so be ready to attack. The fighting style is also splendid, once you’re in camera mode you need to capture the ghost by taking pictures of them, they need to be visible on the camera view to damage them, an interesting thing to add is you can charge by focusing your camera on the enemy for an added damage and to further increase the damage output: you can perform a shutter-chance! It’s a basic counter-attack and once the cross hair/lens turn orange, take a shot, this will deal heavy damage to the ghost and can stagger them. I suggest to master the shutter chance because the films (ammo) are limited. You can enhance your weapon by upgrading your camera. I recalled my brother upgraded the camera to have a slow feature so he can time practice the shutter chance. There’s another bar for the life which indicates how much life you have (duh) and using a herbal medicine will replenish it’s life (double duh). So, there you have it! I’m glad I did not write this at dawn, it’s really scary! I could still remember when we went back home from playing, I wrapped myself with a thick blanket before going to sleep. And the title says “Based on a true story” how disturbing is that? I don’t know if you’ve noticed, but from my perspective, the people from Japan really bring out the horror in every aspect. They don’t “jump scare” or spook you but they make it so intense that it feels like you’re drawn in to the scene itself. Do you remember the Japanese horror movies like The Ring, The Grudge and etc.? It has that kind of feeling, you’ve no choice but to watch how the supernaturals “scare” you. That’s why I didn’t want to beat the game, it’s just too frightening. And the last thing worth mentioning are the flashbacks, I remembered a part where there’s a mask on the wall and Miku peeked through the eye of the mask and a flashback/custscene was triggered. The flashback was about a ritual where a family member was forced to wear a mask that has needles on the eye area part, rendering them blind. And after the ritual was done, everyone in the flashback turned their heads to Miku which was so creepy, because it was a flashback/real-time situation and everyone was aware of your presence through the other side of the wall. uhg… really scary. I have to be honest with you, I wanted to watch the complete walkthrough but even the cut-scenes are so damn creepy. Here’s a video in YouTube from another fellow gamer with commentaries which makes watching the game easier. (she’s tough, so much appreciation to a gamer who have the guts to play horror games, not to mentioned she’s a girl). Project Zero is the Japanese version of the game. Enjoy!